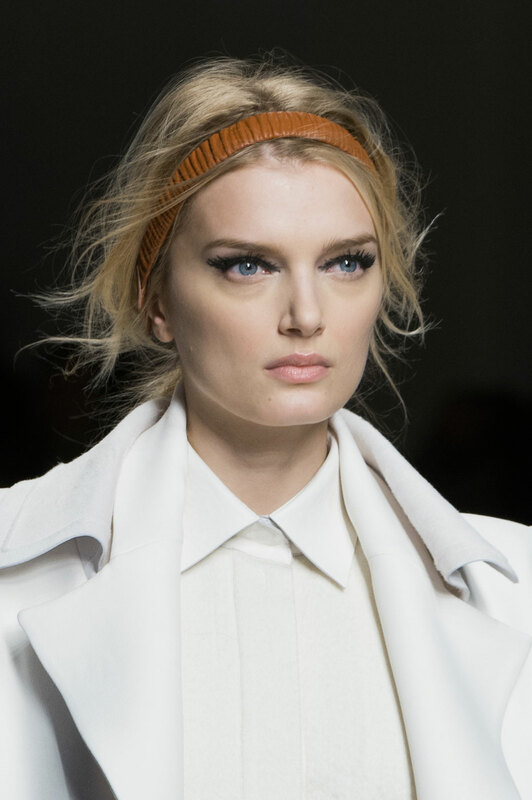 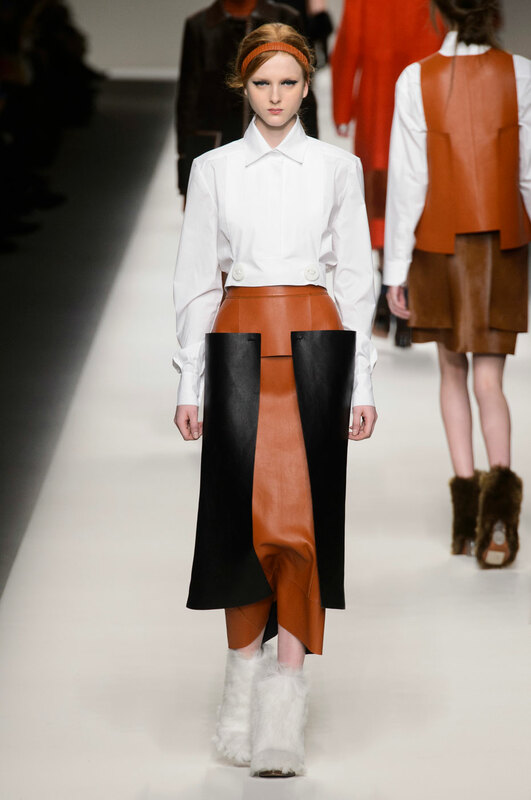 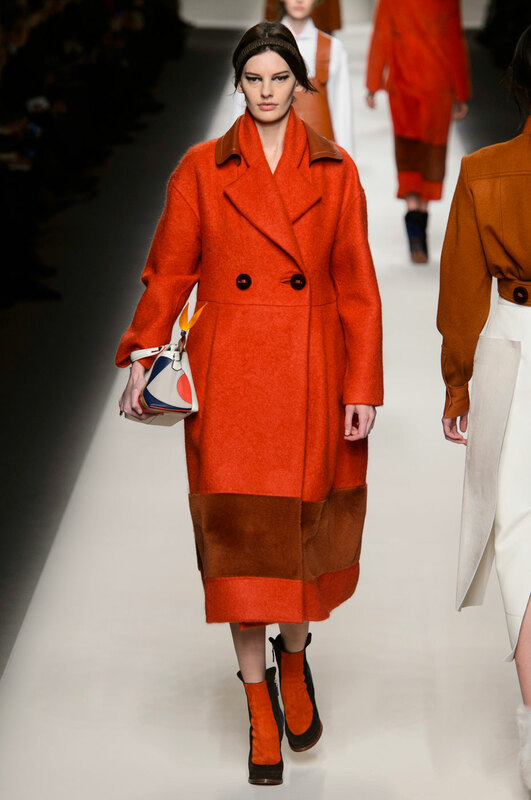 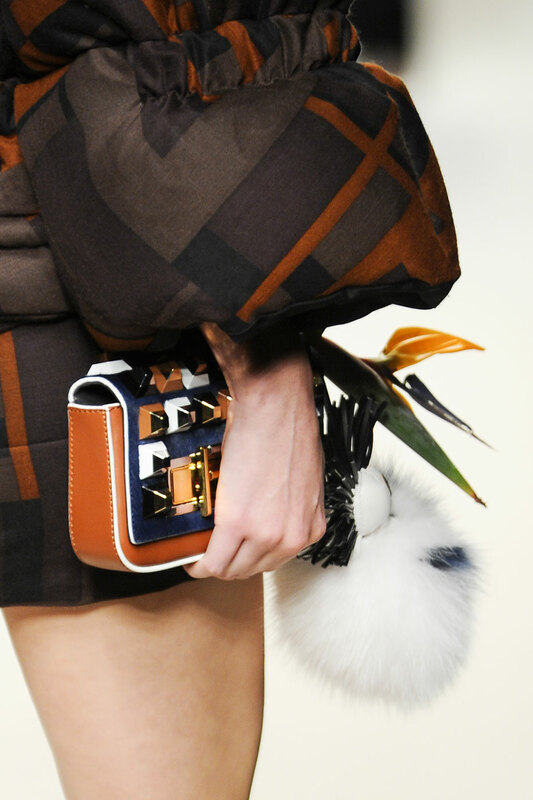 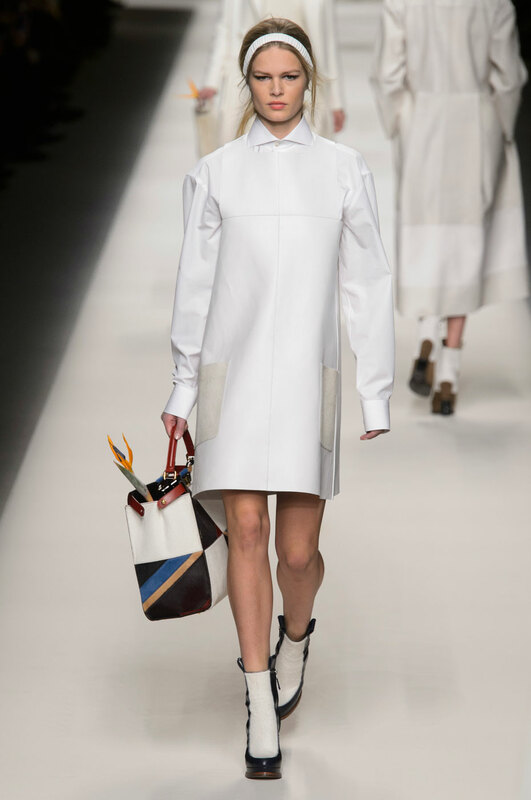 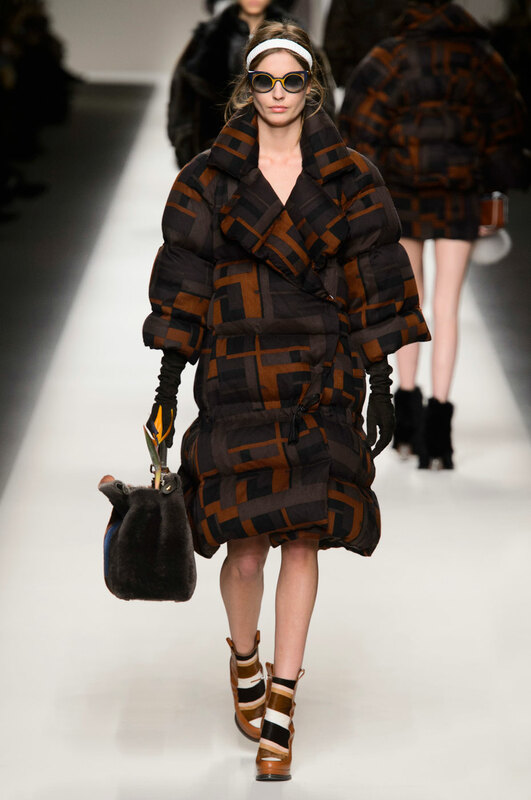 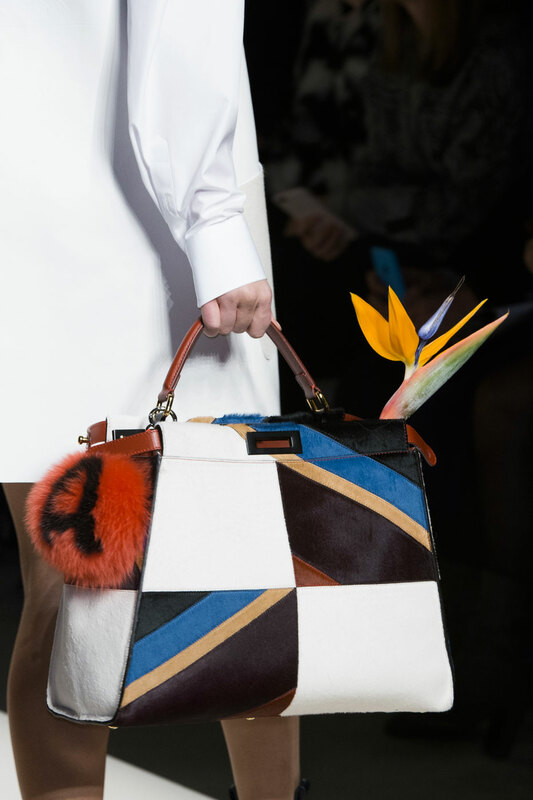 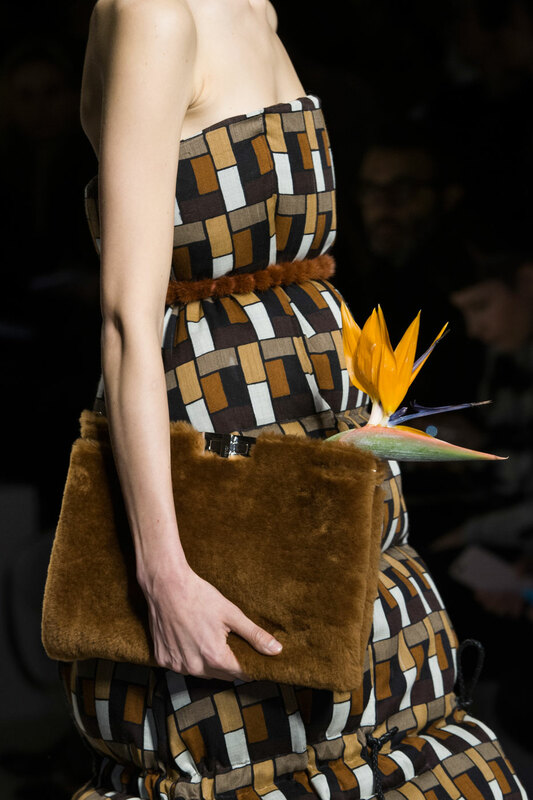 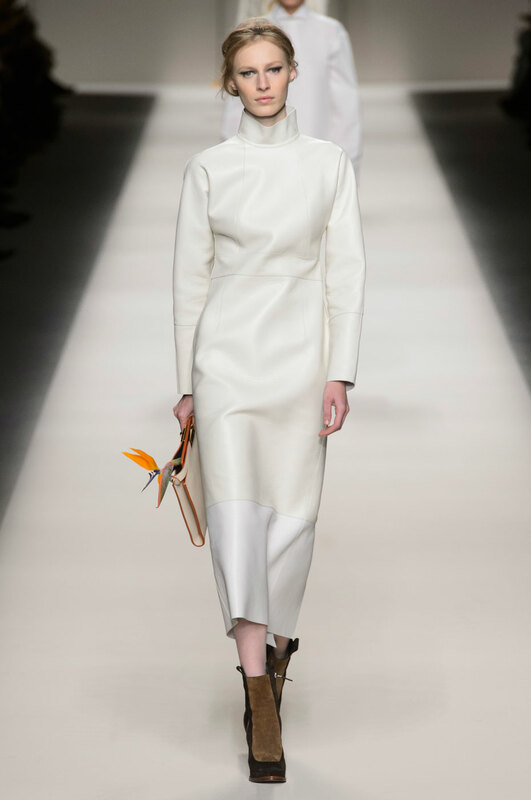 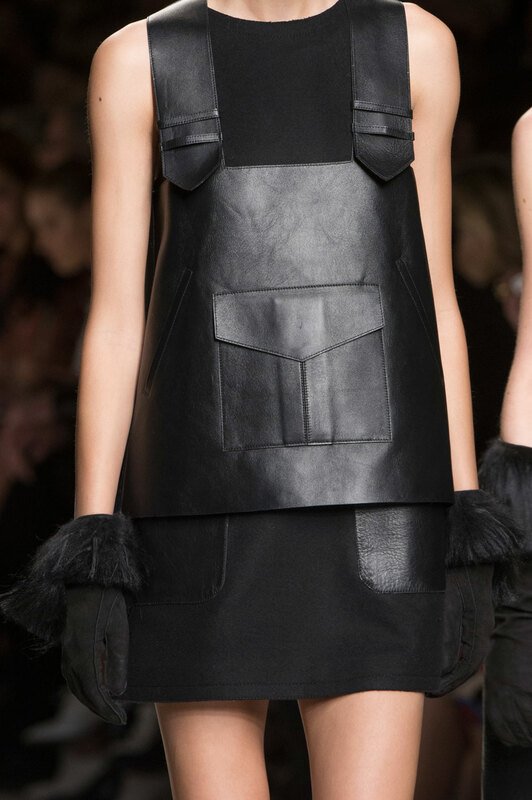 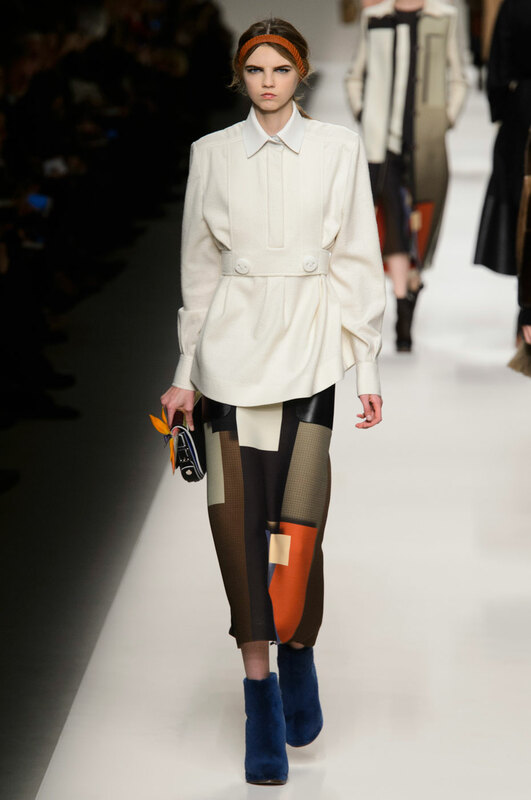 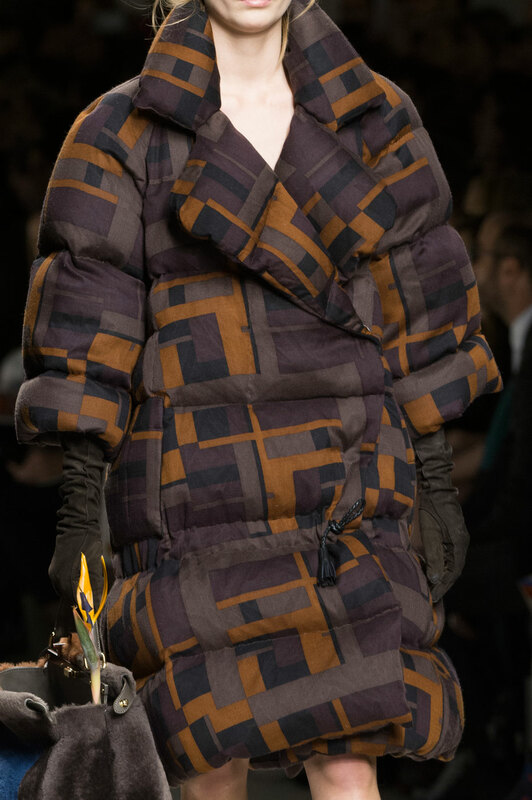 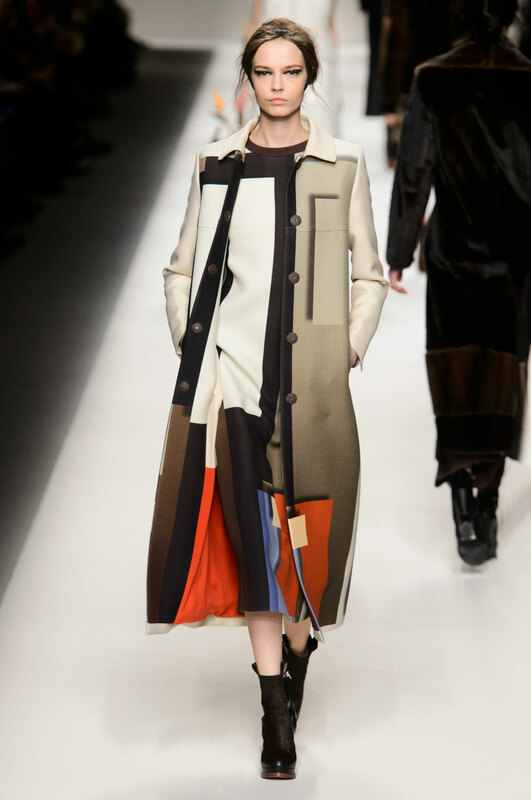 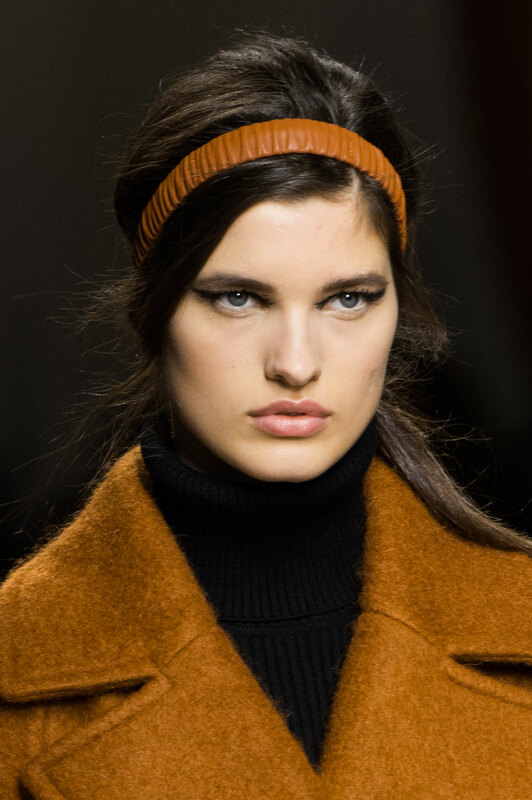 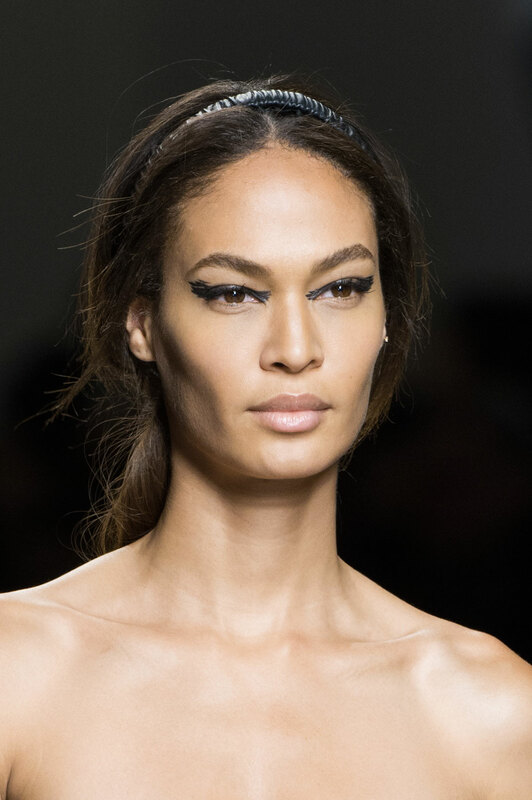 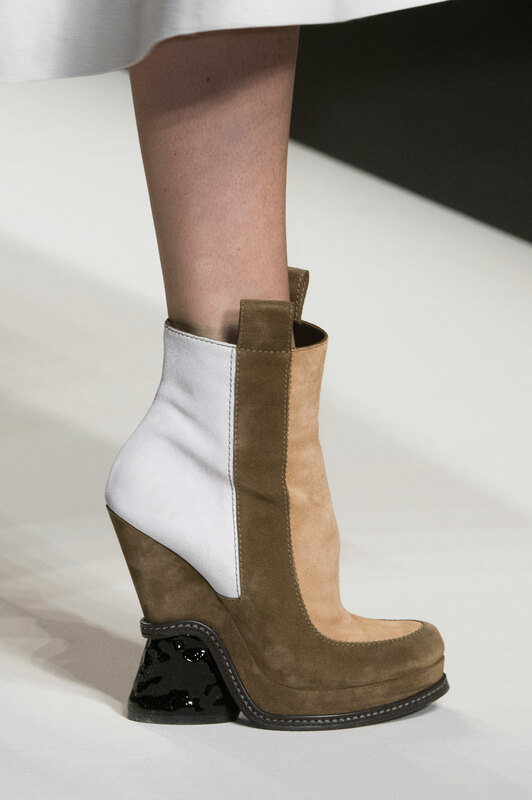 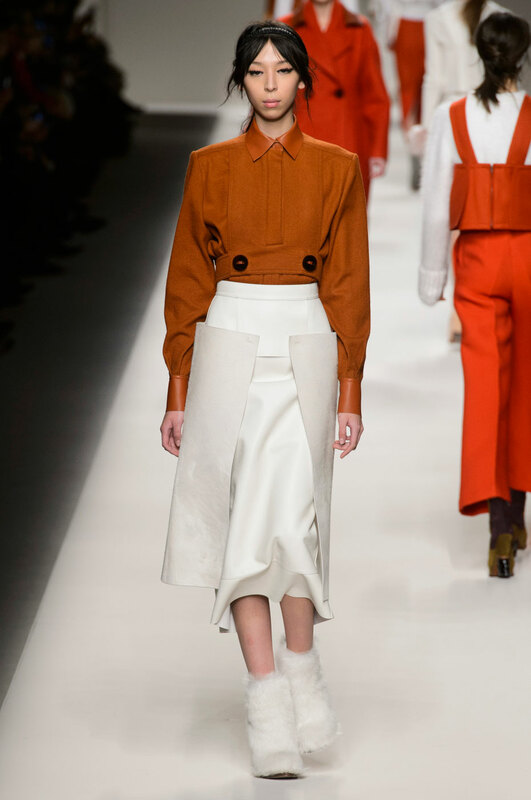 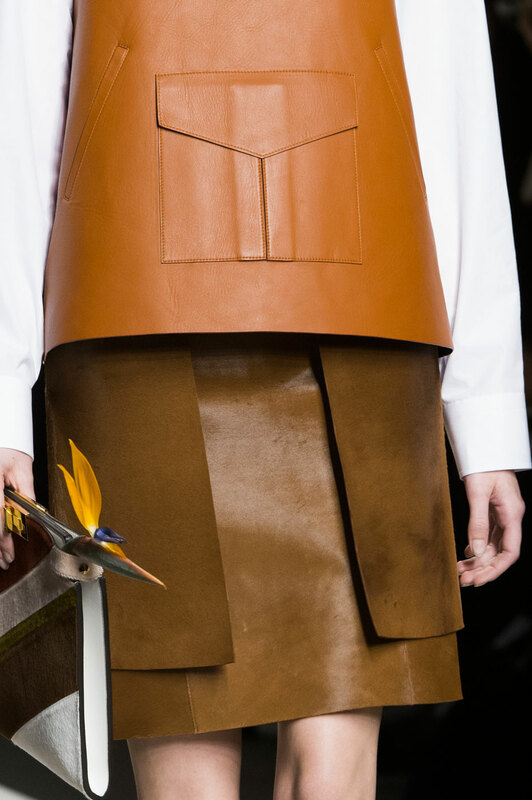 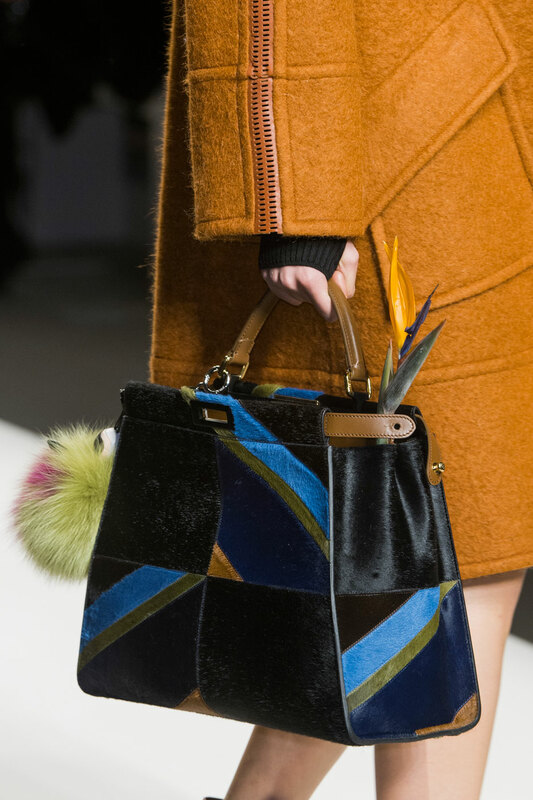 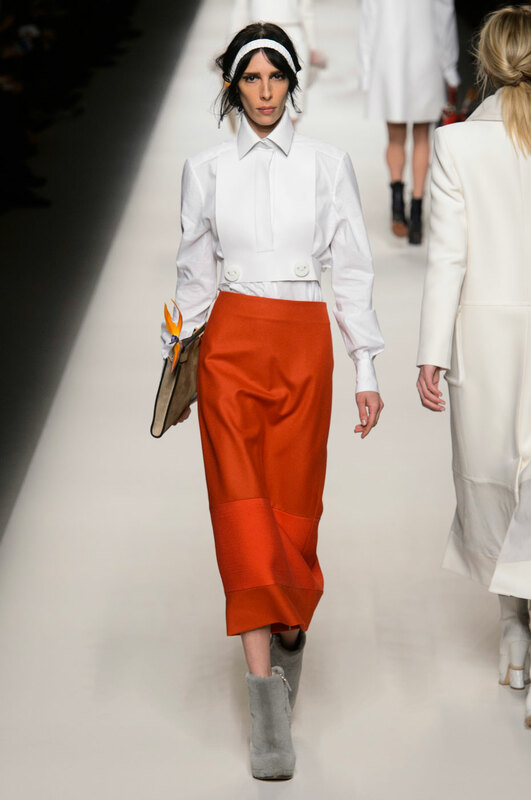 Fendi Women Autumn-Winter 2015 – The 70’s trend is not going anywhere this season as Karl Lagerfield’s girls walked the Fendi show in arty cuts, unique super-size shapes and eccentric optical prints. 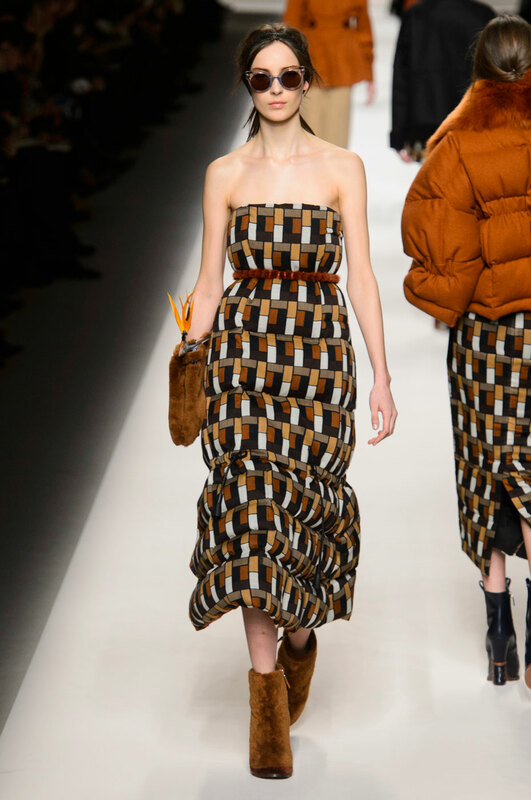 Kendall Jenner, Karlie Kloss and Linsey Wixon led this season’s collection as ‘flower pot girls’ in stiff structured aprons in rich brown tones. 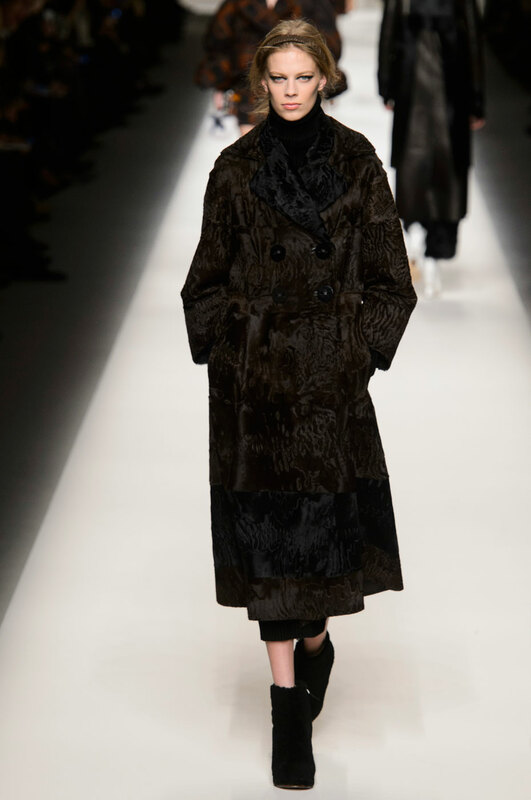 But lets not ignore the brilliance of layering in this collection, with a mix of furs, silks and leathers all beautifully cut. 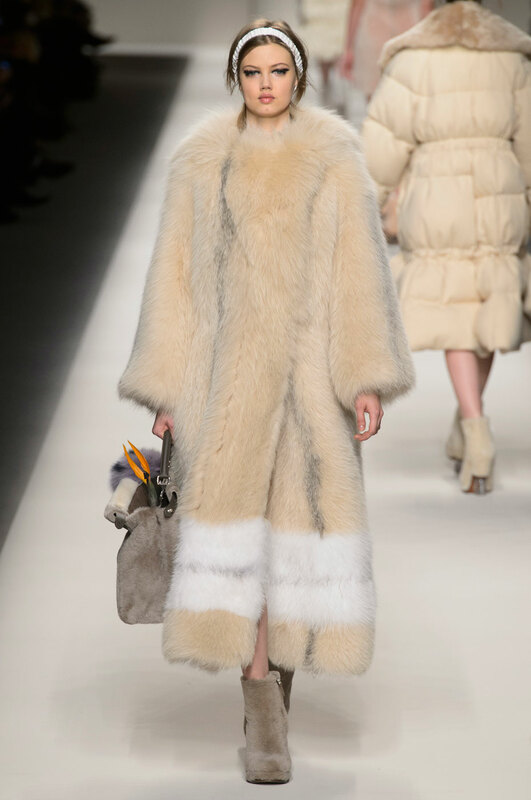 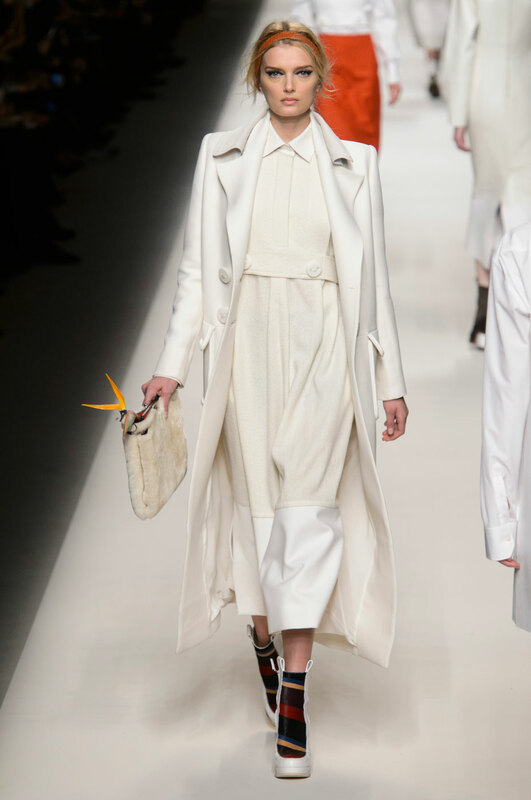 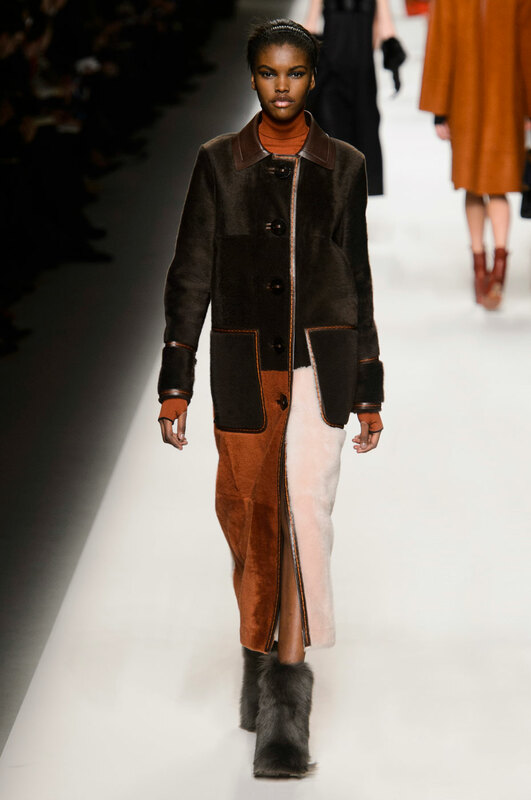 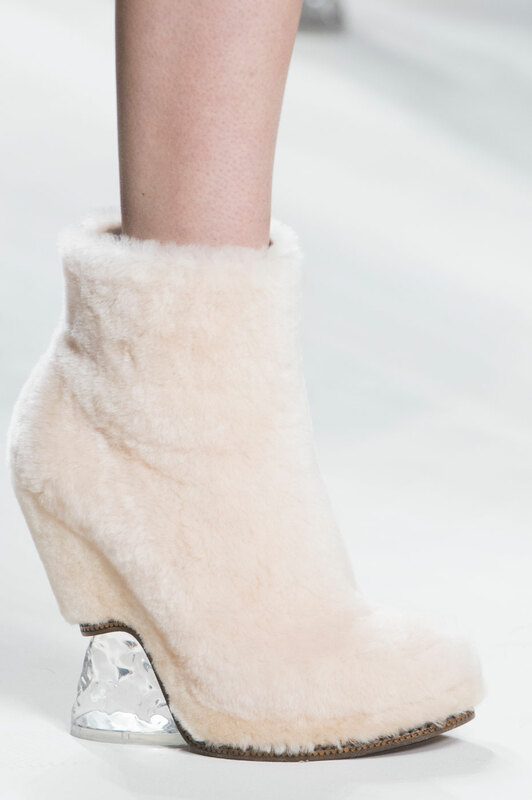 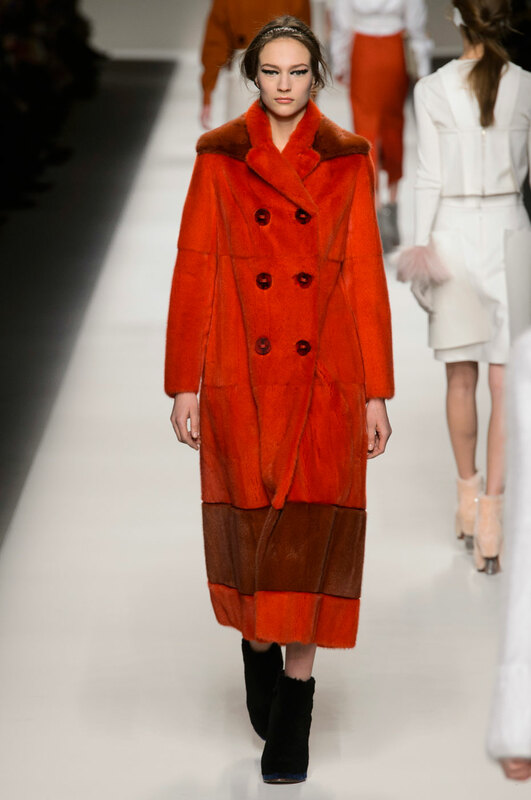 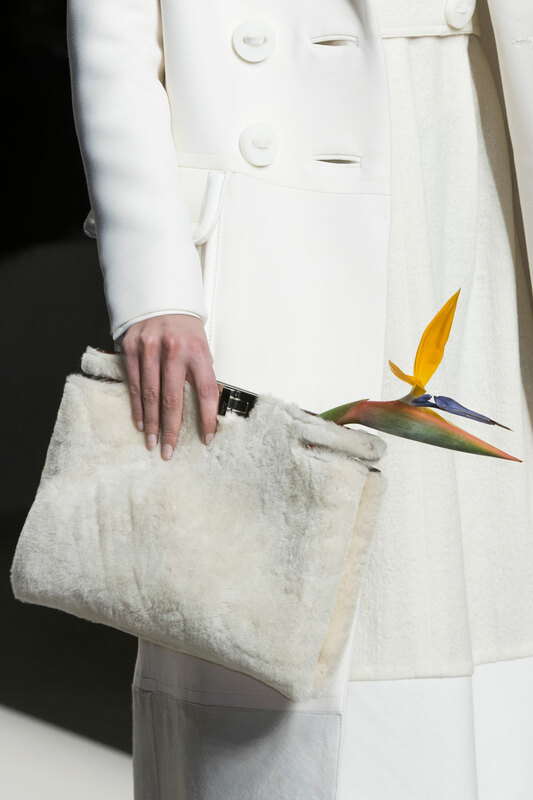 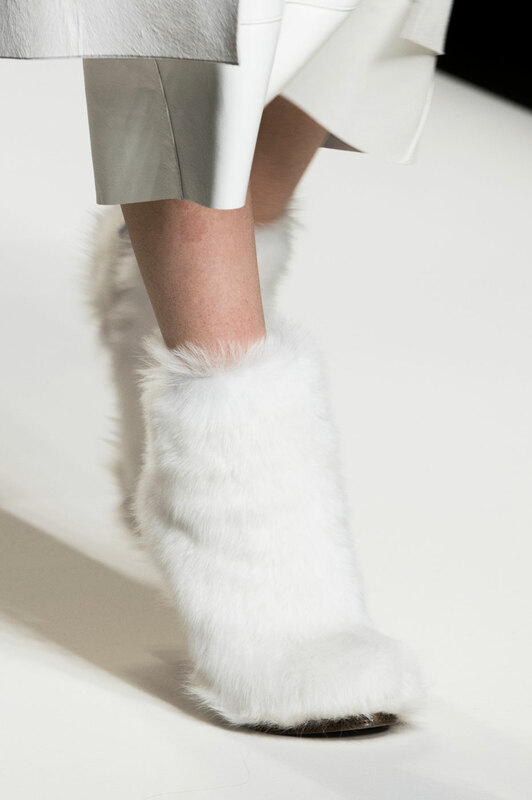 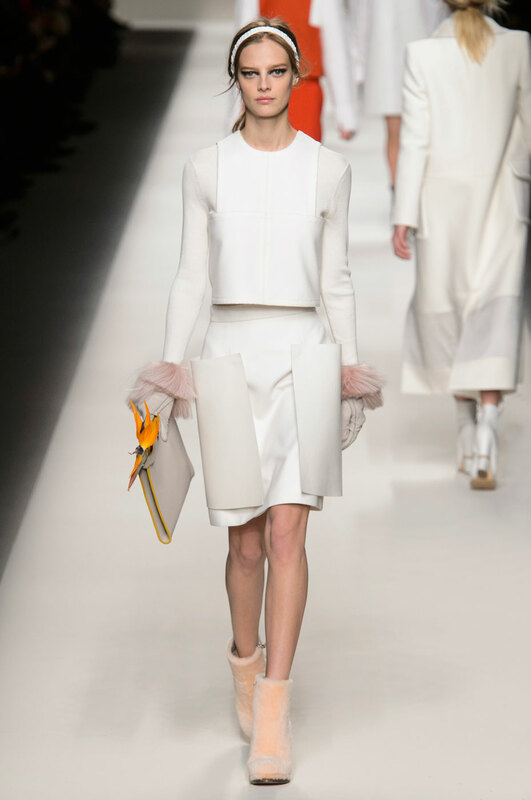 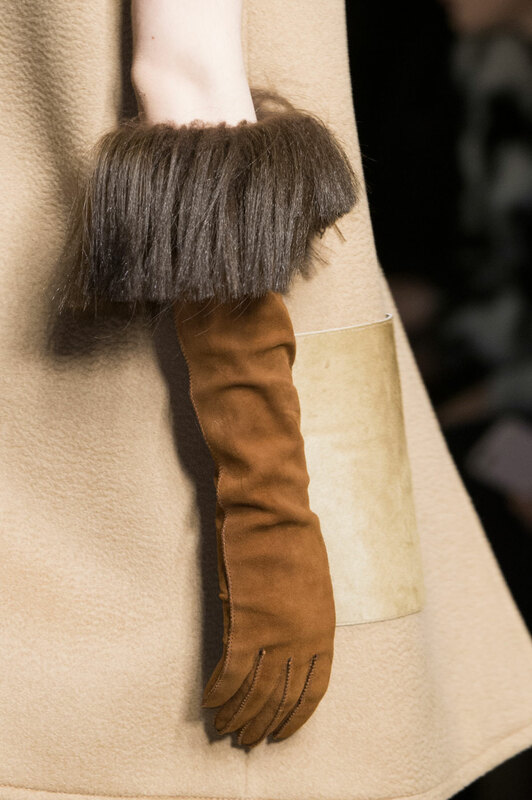 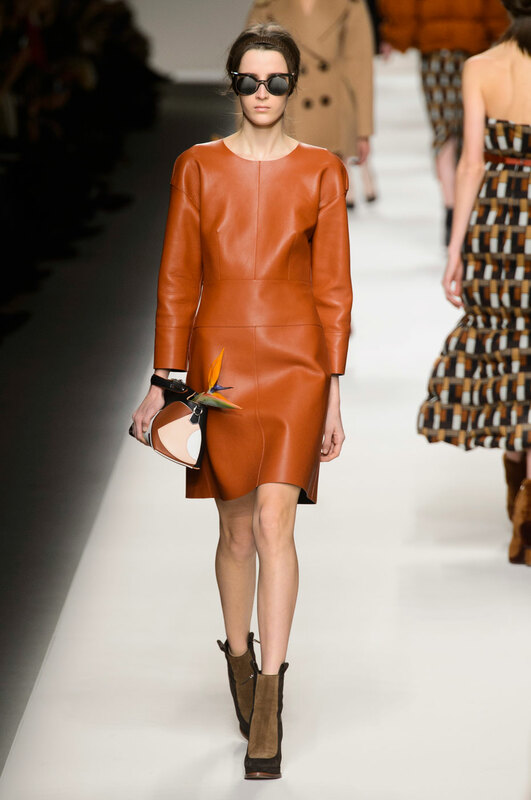 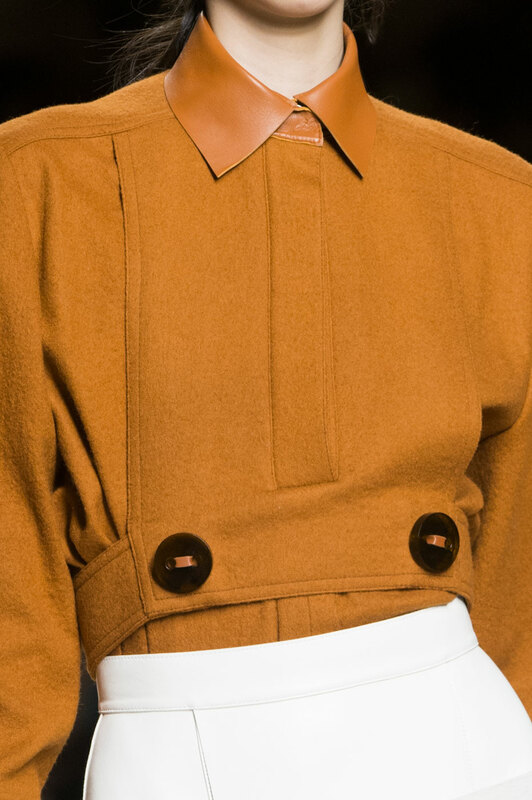 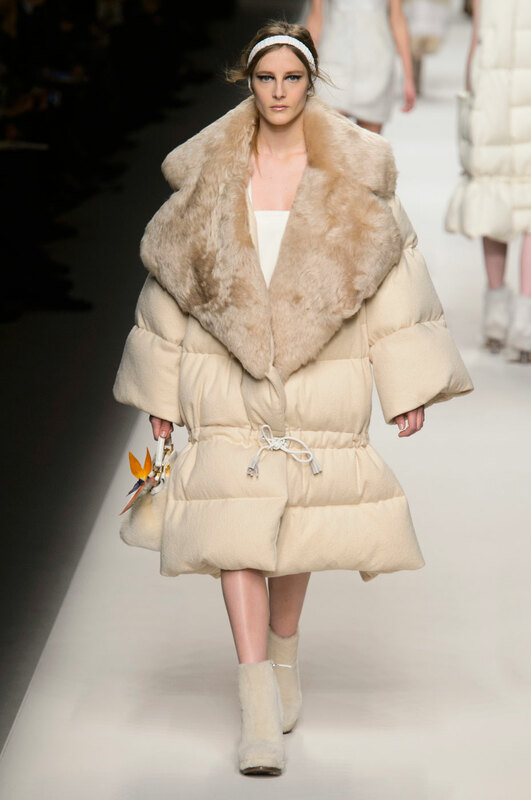 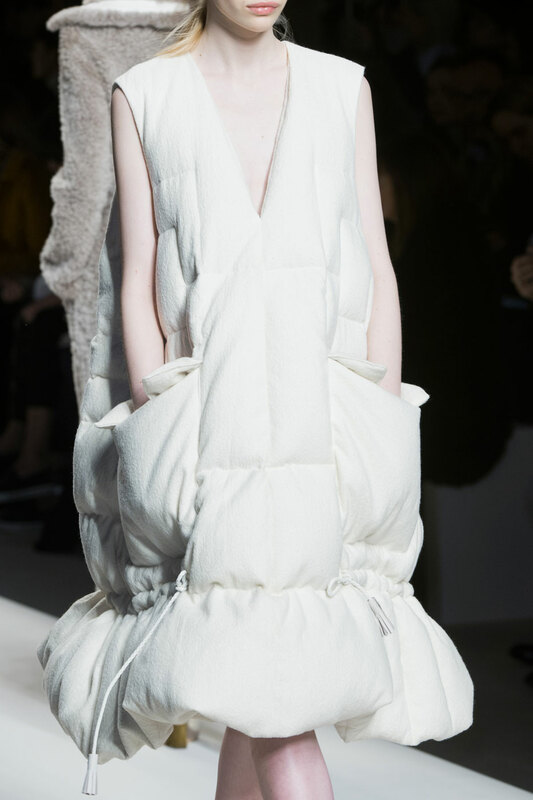 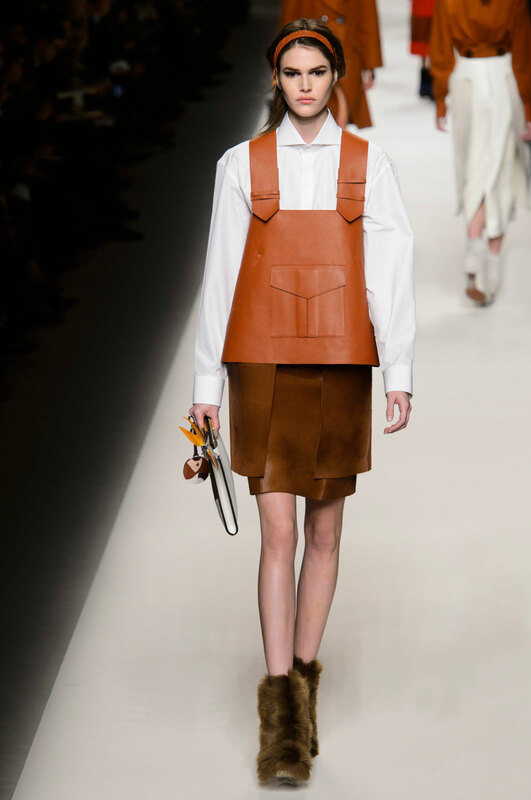 Brown is certainly replacing black this season at Fendi complimenting the cream and pink furs in pastel tones. 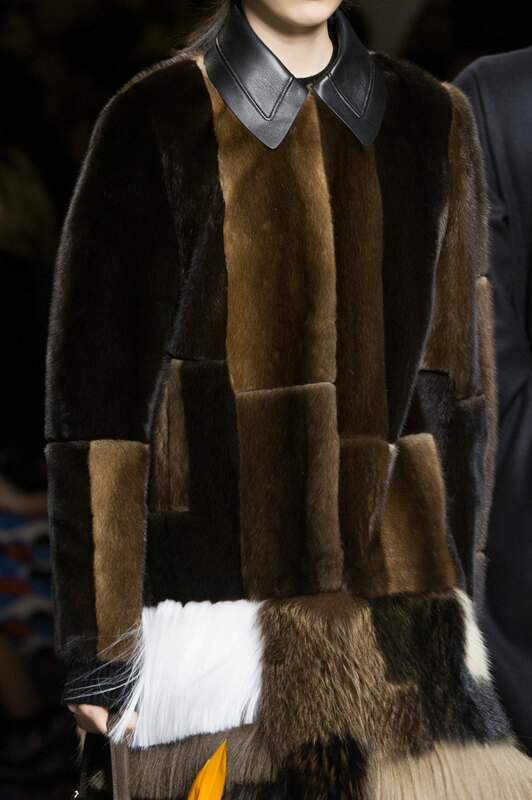 The fur adds a glamorous touch to more masculine looks, which works particularly well in the footwear, balancing out the looks as a whole. 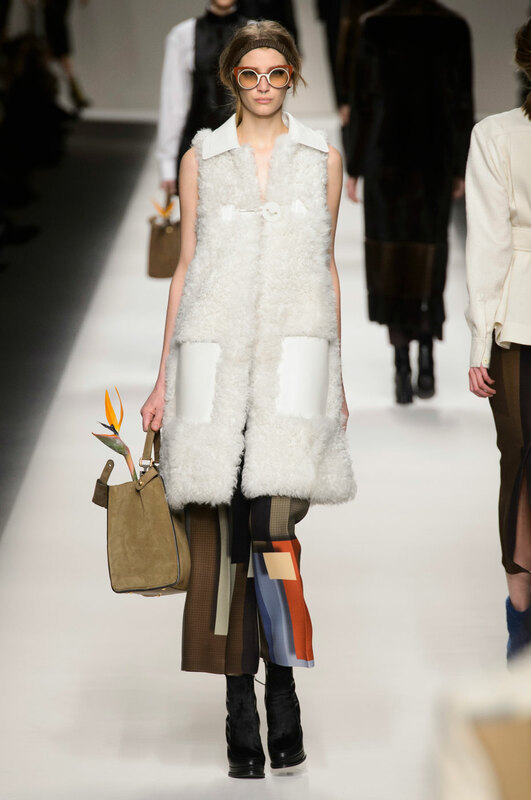 The earthy tones are hard to ignore with the added detail of a single flower in every bag, a futuristic garden perhaps? 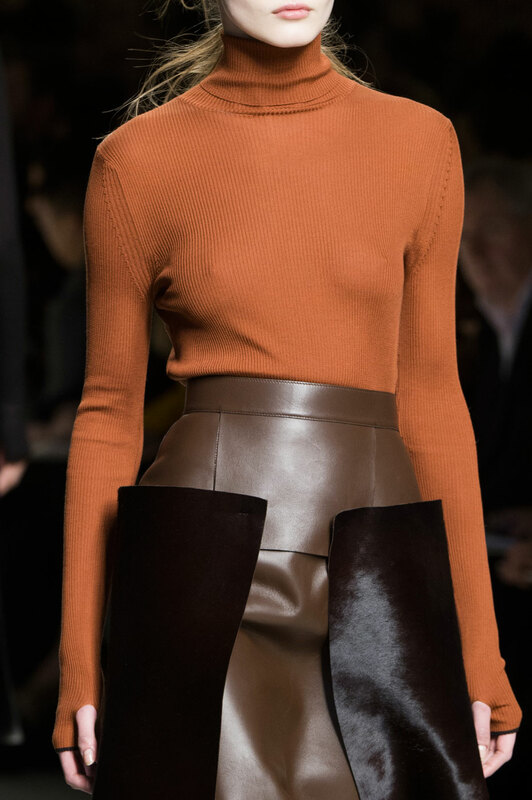 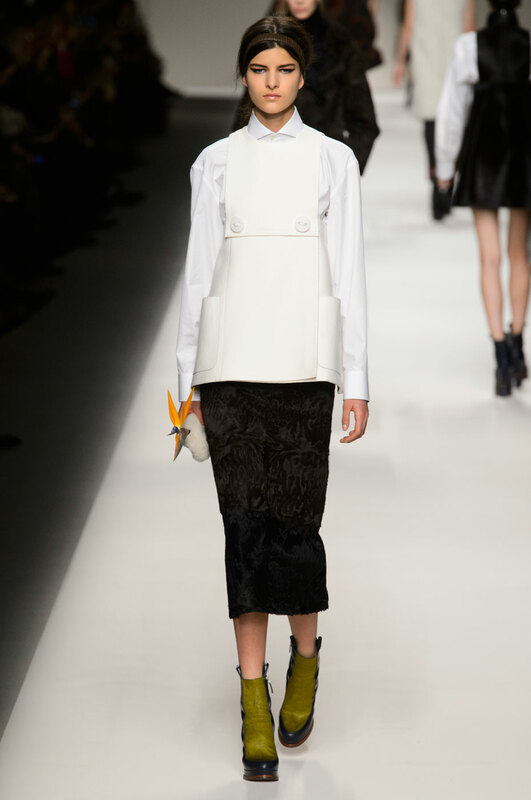 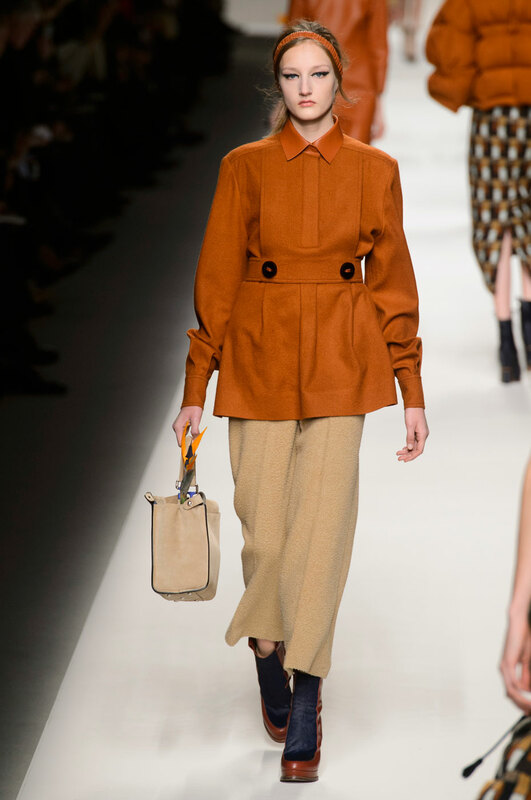 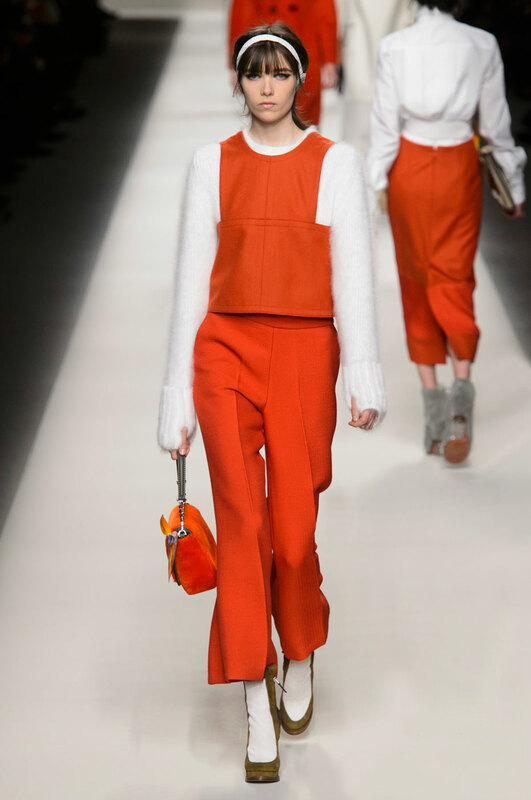 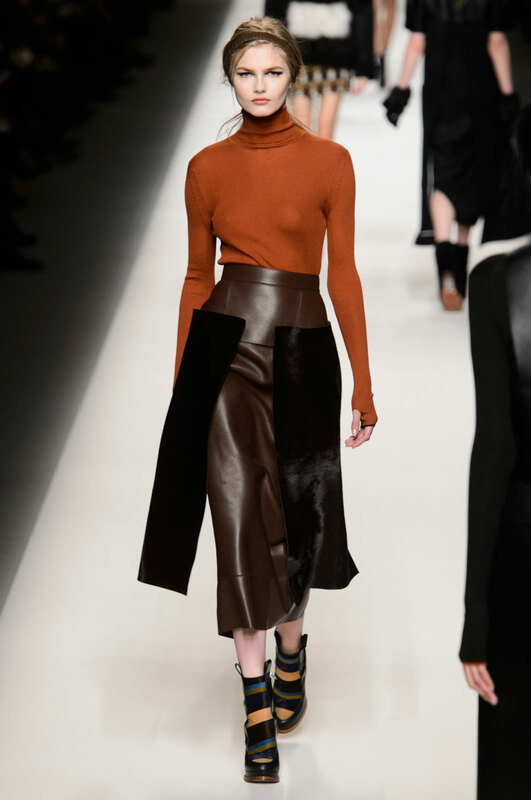 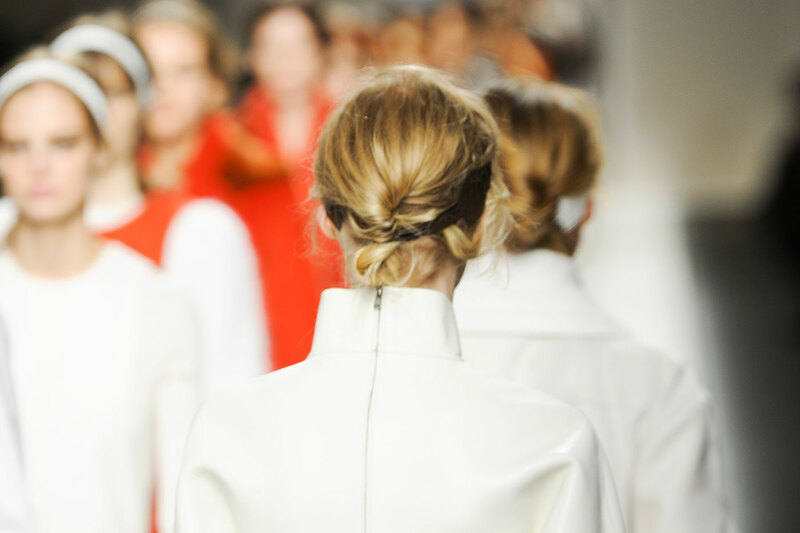 With 70’s inspiration apparent, Fendi advance the basic roll neck and push the boundaries of size and sharp cut shapes. 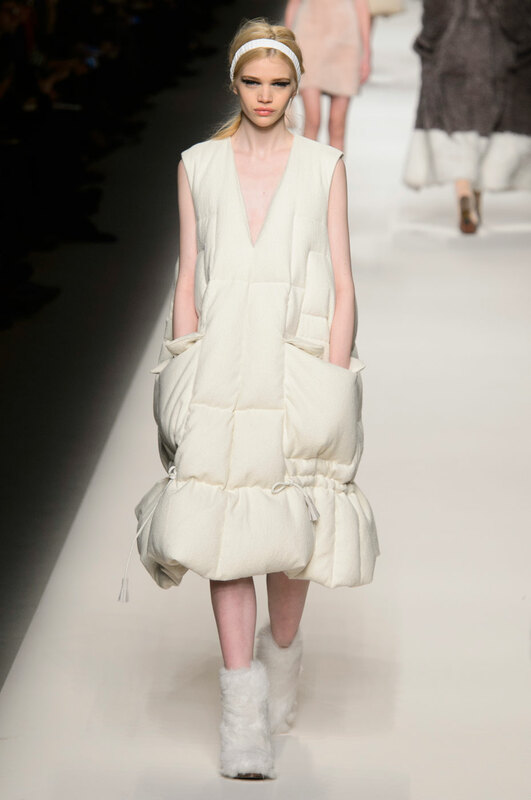 Comfort rides part of the collection, with soft duvet like fabrics, a choice perfect for the colder seasons. 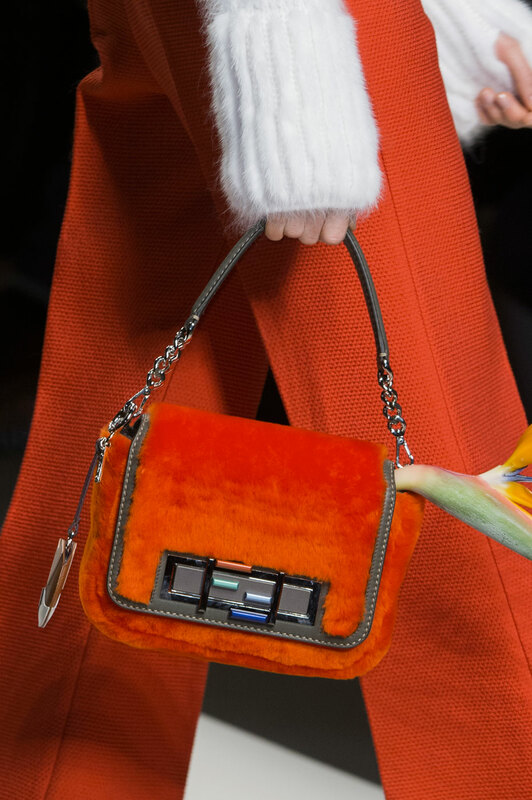 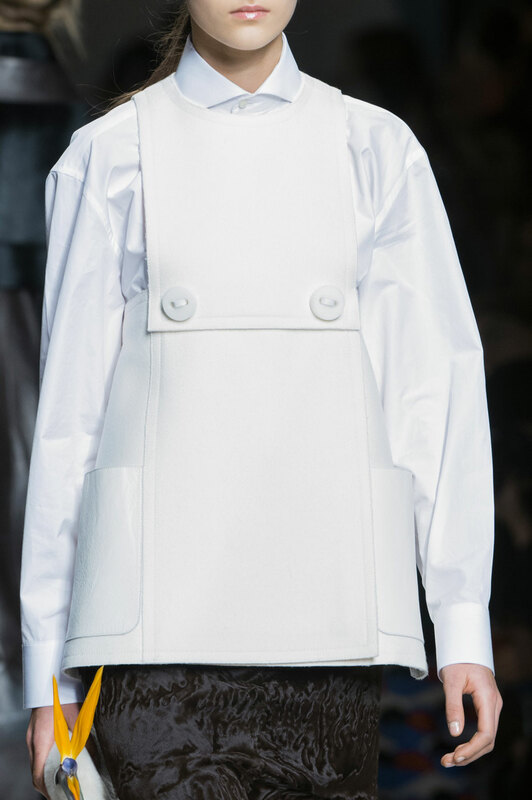 The future for Fendi is definitely one to look out for, with eccentric shapes already mastered we can only predict more brilliance to come.